You’re in Guatemala, in a minibus apparently powered by reggae and with an air conditioning system that is approximately as effective at cooling air as a child blowing into an oven. 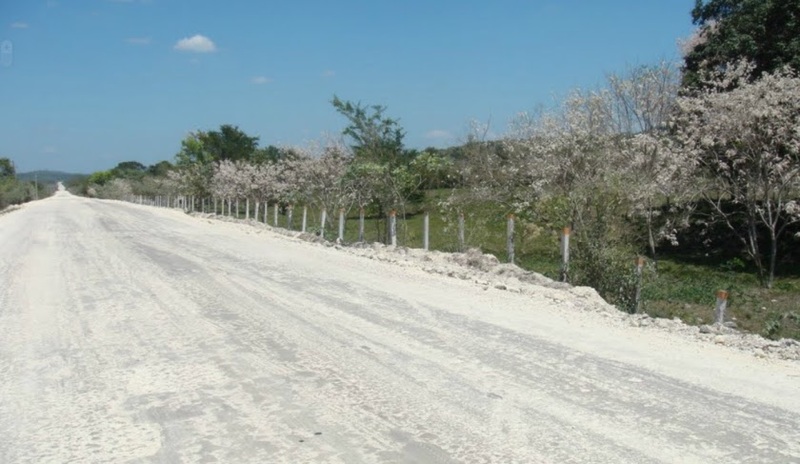 The road is cracked and uneven, baked dry by months of relentless sun, and as you sweep towards Belize the bare tyres of the minibus send clouds of white dust sloughing off into the verges at either side of the road. You glance ahead and happen to notice that, in the distance, the road is obscured by a yellow cloud. You lean forward, gripping the hot leather of the seat in front to get a better view. The cloud is enormous, and it swirls and billows across the road before disappearing amongst the tangles of wiry trees that spill onto the side of the road. It is only when you are almost upon it that you realise that the cloud is comprised of butterflies. Million upon million of them. They thicken the air, boiling and tumbling and flopping, their lazy wings driving ever onward the seething mass that moves and reacts like a single living entity. In seconds you are inside the swarm, and the sky has turned yellow. The world shifts, and all around is a swirling sea of amber and mustard and gold. Butterflies thud and whack against the windscreen, leaving grim prints of their innards on the glass. The growl of the engine and the hiss of the wheels are muted by their wings. The minibus becomes silent. The world becomes silent. Then the driver turns around and grins at you, and you see that he has the head of a goat and diamonds for teeth. All of the above happened to me. Apart from the bit at the end with the driver. I love One Hundred Years Of Solitude by Gabriel García Márquez, and one of the things I like most about it is the casual inclusion of the improbable, the implausible and the impossible. One of the passages that sticks in my mind, for example, is the literal ascendance into the heavens of Remedios the Beauty (and the anger of Úrsula at Remedios having kept hold of one of her best sheets as she went). Another thing that sticks in my mind is the character of Mauricio Babilonia, a man who is followed wherever he goes by a cloud of yellow butterflies. Yes, a cloud of yellow butterflies. Finally, some semblance of a point is on the horizon! When I first read One Hundred Years Of Solitude I accepted the magical elements as real in the sense that they were real to the characters, but kept in mind the fact that they were complete fantasy. But now, as a result of that minibus journey in Guatemala, I find myself wondering…is there more to the unreal elements than I first thought? But still, it was exciting to imagine that I was living, even if only very briefly, in a magic realist novel. And that the magical could be real.